Please tell us about STILL BLACK REMAINS. “Still Black Remains” tells the story of Twist, one of the leaders of an inner city gang named the Skulls, and the architect of his gang’s decision to kidnap a mafia soldier in a last-ditch attempt to end a violent turf war. The war started when the Skulls tried carving out a bigger piece of the drug business in their Newark, New Jersey neighborhood from the organized crime family who had once been their partners. Like most great ideas, the plan doesn’t turn out as expected. Negotiations deteriorate, words fail, the violence escalates, and the only recourse left is the inevitable execution of the hostage. Chosen to be the one to execute the prisoner, the story covers Twist’s ability to pull the trigger, the consequences of that action, and his own internal struggle. As the volatile situation grows more explosive by the hour, the lines between right and wrong blur; resolution comes with a price and Twist has to decide if pulling the trigger will get him what he wants, and if he can live with that cost. From the description, it seems there are a lot of morality issues at play. Was that intentional or just an outgrowth of the story. None of that was planned. My intention when I started was to write a story about life in a gritty, violent neighborhood where violence is justified as being “part of the game”. I wanted to explore life in America’s inner cities and possibly capture the voice of a different generation struggling against all odds, through any means possible. The characters in “Still Black Remains” learned that hard work by itself will never help them achieve what they want. They have to work outside the system to get what they want. For Twist, it’s a struggle between his own individual desires and the subordination to the Skulls’ goals and needs. The morality issues were an outgrowth of his character’s development – sometimes that takes you in directions you don’t necessarily plan to go and opens possibilities in the story. Twist’s conflict is more personal than his gang’s conflict – it’s about using Michael Valentine’s kidnapping to get Malik back, or at least find out information about where he’s being held. What’s at stake for Twist is his soul – he’s forced to wrestle with the question of whether or not he can pull the trigger to kill Valentine and if he does, live with those consequences. The heart of the conflict has Twist questioning the limits of his own capacity for violence, struggling to confront the differences between vengeance and valor. Is there another genre you can see yourself writing in or that appeals to you, as far as writing? I don’t have any specific genre in mind when I sit down to write. It usually just starts with a story, an idea, or characters and builds from there without any thought to a genre. I like to think that good stories can cross other categories and find an audience, and as a writer (and a reader), I appreciate stories that across a variety of genres. Although I’m open to all genres, I don’t think I have the ability to write science fiction or fantasy – my imagination doesn’t work that way and I don’t have the kind of technical imagination based in science that good sci-fi writers seem have. Clearly I should have paid more attention to science when I was in school. My only regret is that I didn’t choose this path earlier. What is your favorite aspect of writing? I love it all – from the initial draft where you just throw everything out on paper to the subsequent drafts where you shape, edit, and refine the story until you have a finished product. If I had to choose one aspect I like best, I would say that I love writing dialogue. There is something about putting together a conversation between two characters – telling a story through their conversation that I enjoy immensely. Good dialogue makes a story come alive for me. No. No such thing. Like my characters in “Still Black Remains” say: “it’s all part of the game”. Did you grow up a reader? If so, what was your favorite book? I was an avid reader as a kid – I read any and every book I could get my hands on, and I always loved the way writers created their own universe to tell their stories. It was all about the power of imagination – as a writer you could tell any story you wanted. I’ve always loved crime fiction, and when I was younger I fell in love with stories by writers like Donald Westlake, Raymond Chandler, James Cain, and John MacDonald, then discovered Elmore Leonard, Lawrence Block, and Robert B. Parker. But for me, the book that made a difference was “Prince of Tides”. There’s a certain beauty in the writing of Pat Conroy that is awe-inspiring – he is so vivid and paints incredible images with his words. “Prince of Tides” and “South of Broad” both take away my breath – not only the beauty of his words, but the grace and style of the imagery in everything he wrote. There are times when you sit back as a writer, admire what someone else has written, and just say, “Damn….I wish I could write like that”. Do you have a Work In Progress you can share a bit about? I have two other novels in the pipeline – the first that I’m finishing is one entitled “All Those Yesterdays” which is about domestic violence crossing three generations of a family. Domestic violence is a subject that I’ve actively written about over the past few years, and this book allows me to not only explore the topic in detail but to feature a strong female character at the heart of the story. In my other books I haven’t had the opportunity to do that, and it’s been exciting creating that kind of character while giving voice to a problem that affects individuals in every community, regardless of age, economic status, sexual orientation, gender, race, religion, or nationality. Have you ever had any fun being mistaken for Bryan Cranston? It happens all the time so I’ve gotten used to it, and it’s kind of fun playing along when people ask, “Do you know who you look like”? I’ve had random strangers approach me in airports, grocery stores, even standing in line for a Broadway play – although if I was really Bryan Cranston I doubt I’d be waiting in line. But any number of people have stopped me so they could pose for selfies and pictures, even after I’ve explained that “I’m not him”. One lady said she thought I was Bryan Cranston, but after hearing me speak said I cursed more like Samuel L. Jackson. I just finished Laura McHugh’s “Arrowood” which was excellent, and Wallace Stroby’s “The Devil’s Share”. If you’re a mystery/crime reader and haven’t yet discovered Stroby, you’re missing out on an excellent writer. Appreciate you taking the time to visit with Manic Readers, Kevin. Think a book or two has been added to my reading list. 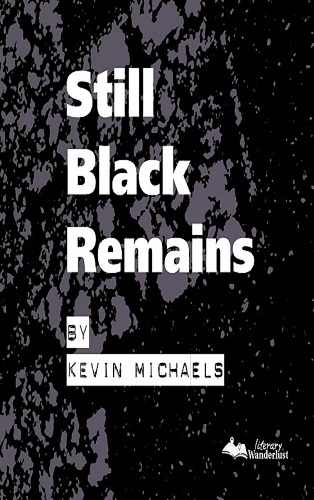 “Still Black Remains” is an original work of fiction. It tells the story of Twist, one of the leaders of an inner city gang named the Skulls, and the architect of his gang’s decision to kidnap a mafia soldier in a last-ditch attempt to end a violent turf war. The war started when the Skulls tried taking a bigger piece of the drug business in their Newark, New Jersey neighborhood from the organized crime family who had once been their partners. Like most great ideas, the plan doesn’t turn out as expected. Negotiations between the gangs deteriorate, words fail, the violence escalates, and the only recourse left is the inevitable execution of the hostage. Chosen to be the one to execute the prisoner, the story covers Twist’s ability to pull the trigger, the consequences of that action, and his internal struggle. As the volatile situation grows more explosive by the hour, the lines between right and wrong blur; resolution comes with a price and Twist has to decide if pulling the trigger will get him what he wants, and if he can live with that cost. Kevin Michaels is the author of the critically acclaimed debut novel LOST EXIT, as well as two entries in the FIGHT CARD BOOKS series: HARD ROAD and CAN’T MISS CONTENDER. He also released a collection of short stories entitled NINE IN THE MORNING. His short stories and flash fiction have also appeared in a number of magazines and indie zines, and in 2011 he was nominated for two separate Pushcart Prize awards for his short stories. Other shorts have been included in the anthologies for SIX SENTENCES (volumes II and III) and ACTION: PULSE POUNDING TALES (2). In April 2017 his latest novel STILL BLACK REMAINS will be published by Literary Wanderlust LLC. 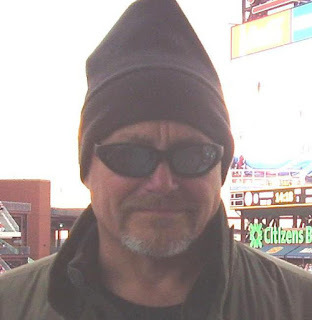 He has also published a number non-fiction articles and stories in print publications ranging from the NYTimes.com and the Life/Style section of The Boston Globe to The Bergen News and Press Journal and raged in print at places like the triCity News, NY Daily News, and The Press. He is the Founder and Creative Director of Story Tellers which is a community-based organization that develops and promotes literacy through writing. Story Tellers provides under-served teenagers, young adults, and women from distressed situations the opportunity to discover the strength and power of their own voices (self-empowerment through self-expression). Originally from New Jersey, he carries the attitude, edginess, and love of all things Bruce Springsteen common in his home state, although he left the Garden State to live and work in the foothills of the Appalachians (Georgia) with his wife, Helen and an assortment of children and pets.